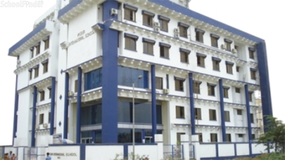 Find below the list of top CISCE / ICSE schools in Khar - Mumbai with phone number, address, 360° School tours, 2018-19 Admission forms & Fees, photos, facilities & more. Our vision is to make the child a ?lobal citizen with Indian values?and a successful human being. To strengthen his roots and give him wings. Dr. Madhuri Shah, the late President of Gujarat Research Society, was a visionary and a nationally and internationally acclaimed educationist who founded Dr. Madhuri Shah Nursery & K.G. School, formerly known as Bloomingdales, in 1979 and Jasudben M.L School in 1980. Jasudben M.L.School is affiliated to the Council for the Indian School Certificate Examinations.\nSince the inception the motto of the school has been Knowledge is Adorned by Character.\nThe ISC Section ( The Indian Secondary Certificate ) Stds XI and XII was introduced in 2005, the Silver Jubilee Year Of Jasudben M.L.School. The ISC Section - Science Stream was first introduced followed by the Commerce Stream in 2007.\nOver the years, the school that had begun its journey with only 17 students, now caters to the learning needs of more than 1800 + students, offering quality education to each and every one of them. 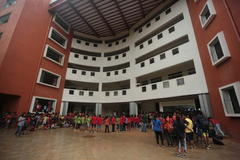 Beacon High, an independent co-educational ICSE day school, is the brain child of Mrs. R.K. Khariwalla and Mrs. K.S. Jamali, who between them share more than 60 years in the field of education. 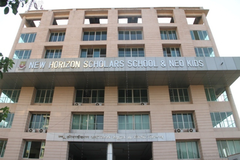 The school is managed under the aegis of R.K. Educational Foundation. Beacon High was conceived out of a realization for the need of an educational institution that would tap the innate intellectual curiosity of the child and channelize this sense of exploration to bring about an all round development. Since its inception in the year 2000, the school has blossomed from a strength of 54 students to almost 700 students at present. Each class from Pre-Nursery to Grade X comprises of not more than 26 students. Avabai Petit was founded in 1913 as a Boarding school for Parsee girls upto the Primary level .The school began with 40 pupils. It has since then been administered by a Board of Trustees. In 1963 the Board decided to accept day scholars from all communities. The school has gradually developed over the years until it has evolved into a full fledged Secondary School. 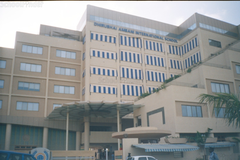 The school is a recognized private unaided minority institution.\nThe school is affiliated to the Council for the Indian School Certificate Examination, which has its office in New Delhi. It prepares students for the ICSE (Class X) examinations. The first batch of Class X had appeared for the ICSE examination in 2012\nIn the heart of the city lies our school campus that houses large and airy classrooms and residential quarters for the Boarding section. The Boarding section is restricted to the Parsee children. The school has 14 classes, commencing with the Playschool upto the 10th class. 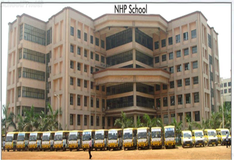 The classes are spread across 7 acres of lush green land.\nThe school endeavours to keep the number of students per class to a minimum, balancing efficiency and quality, with economy.\nThe present strength of the school is approximately 1120 students and teaching staff. The School also has a pre primary section. Learners Academy is aPrivateschool. St Stanislaus High School is located in Bandra West, Mumbai. It was established in 1863. This school follows the State board. The school has English medium. Springfield High School Is Located In Mumbai. EduraftS Ranking For Springfield High School Is Tier-C. Springfield High School Is Aenglish Medium School. 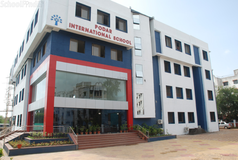 The School Was Founded In The Year 1985And It Is Affiliated To The State; Icse Board. The School Is A Co-Educational School And It Has Classes From 1 To 10. 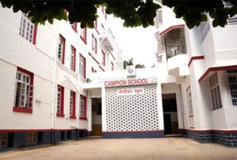 Apostolic Carmel High School Is One Of The Top Schools In Mumbai. EduraftS Ranking For Apostolic Carmel High School Is Tier-A. 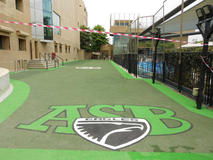 Apostolic Carmel High School Is A English Medium School. The School Was Founded In The Year 1953 And It Is Affiliated To The Stateboard. The School Is A Girls School And It Has Classes From 1 To 10. The School Also Has A Pre Primary Section. Apostolic Carmel High School Is A Private School. 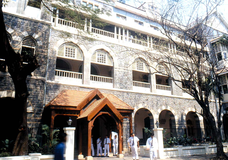 St. Annes High School Is One Of The Top Schools In Mumbai. EduraftS Ranking For St. Annes High School Is Tier-A. St. Annes High School Is A English Medium School. The School Was Founded In The Year 1960 And It Is Affiliated To The State Board. The School Is A Co-Educational School And It Has Classes From 1 To 10. The School Also Has A Pre Primary Section. Choosing the right school for a child is a daunting task. Making the job easier for you is Sqoolz. In order for your child to get admission to the best CISCE / ICSE schools in Khar - Mumbai you need to study and analyze the list of top CISCE / ICSE schools in Khar - Mumbai. With our detailed list of CISCE / ICSE schools in Khar - Mumbai, you can get all the information you need.